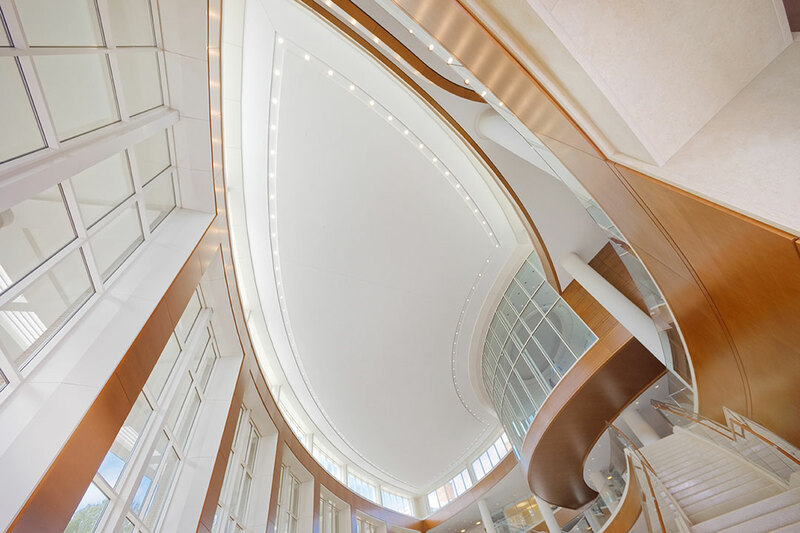 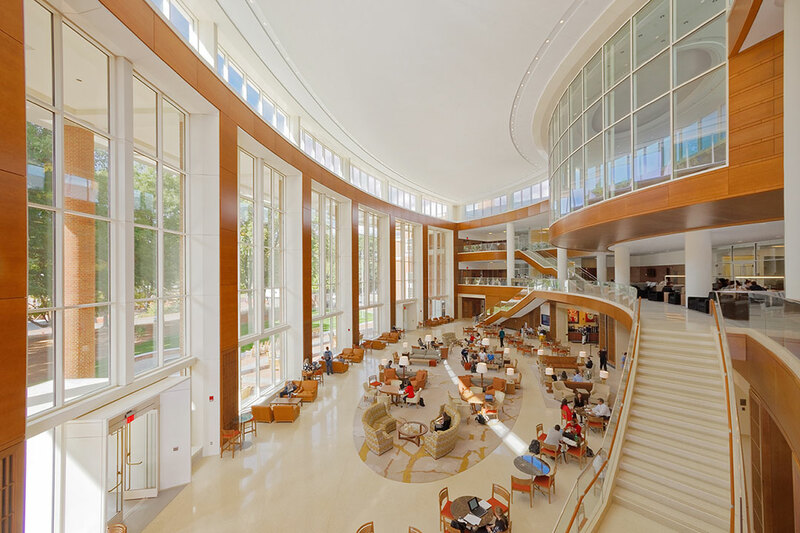 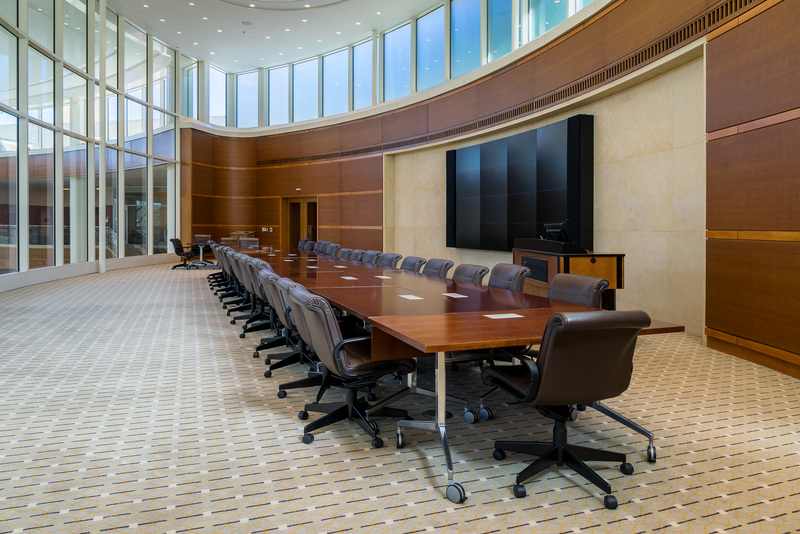 The home of Wake Forest University School of Business, Farrell Hall, is designed to streamline and inspire scholarly work, collaboration ad facility- student interaction. 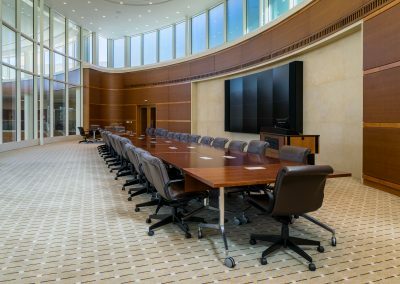 The $55 million,130,000 square foot building, occupying four floors and surrounded by landscaped grounds, integrates state the art technology, flexible meeting and classrooms and dedicated social spaces. 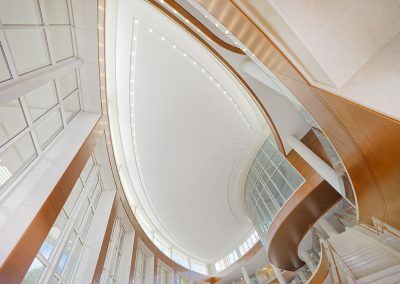 Elegant Georgian architecture encloses a stunning modern interior, connecting Wake Forest’s rich history to its cutting edge future. 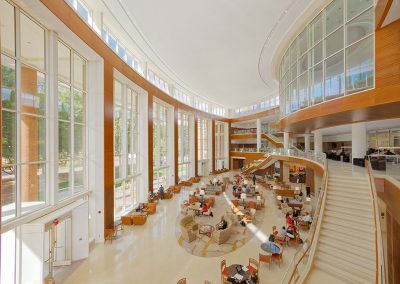 At the heart Farrell Hall is the Founders Living Room, a three story, 8500 square foot pace where students, faculty and staff can gather, study, brainstorm and socialize. 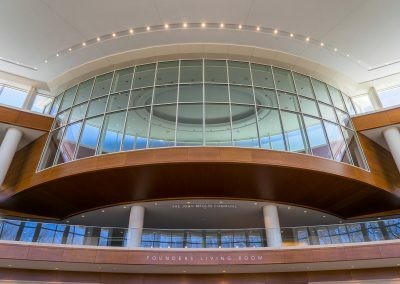 The Founders Living Room is named in honor of significant contributions from the original group of investors who made the vision of Farrell Hall a reality. 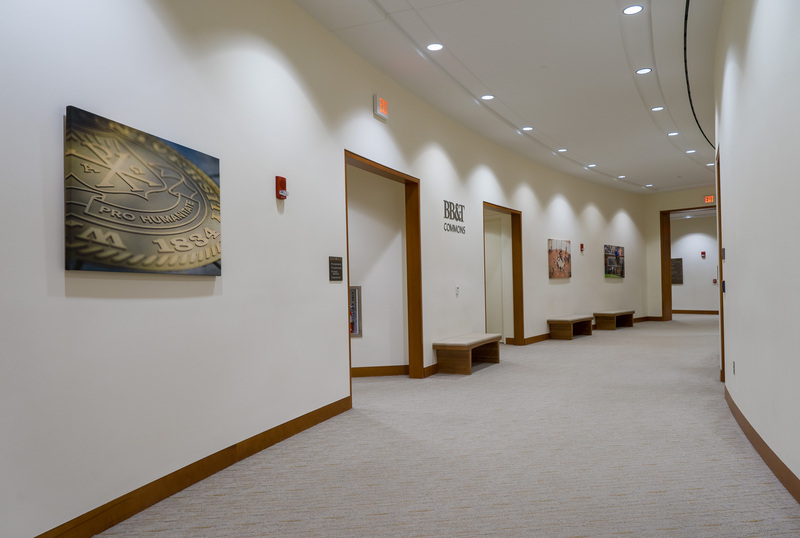 This inclusive and stimulating space ties together many functional areas of the facility and is capable of hosting various large events. 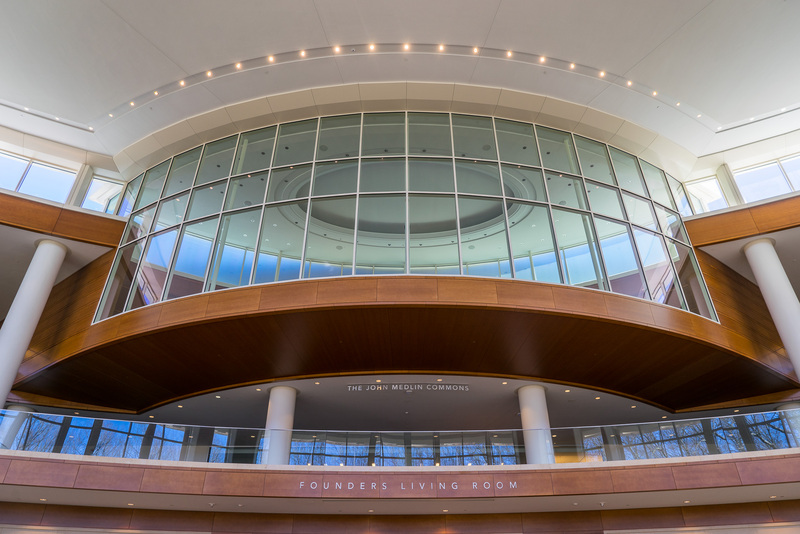 The building is named after the late Mike Farrell, a major donor and actor on the tv series “MASH’.